We all thought we’d died and gone to heaven when we arrived at Club Med Bali for our first family holiday in nearly two years. Our eight-day stay lived up to and surpassed every expectation we had – there’s so much to tell you all about! My husband and I loved the balance of spending time with our kids and getting to truly relax as a couple. Whilst I did look longingly at the bar and wished I could go windsurfing with my husband while the kids were doing trapeze, bungee, archery and swimming at Kids Club, being twenty weeks pregnant was no real impediment to having a grand time. With a vast array of mocktails, the friendliest, chattiest staff you could possibly hope for, and a lovely, serene air-conditioned room, I soon found my groove of absolute, total relaxation. As you can see, my boys had a grand time, the grounds were beautiful and Club Med ensured kids of all ages were catered for beautifully. Below are my three taking their first swim in their gorgeous matching bathers. Beauty was absolutely everywhere – it was like floating through a glamorous film set – a true visual escape from our usual city environment. Long, covered walkways protected us from the heat of the sun as we walked around the vast grounds. 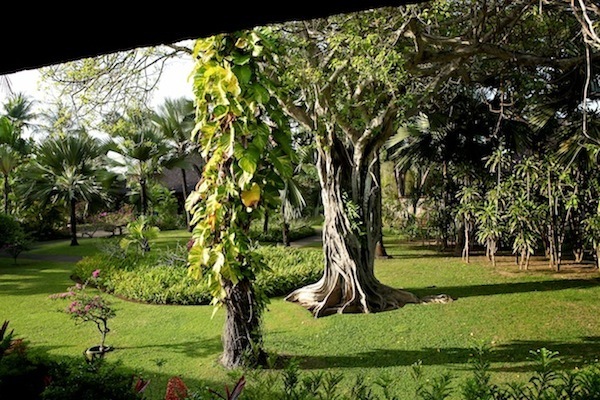 Bit by bit, I felt my health returning after a very draining first trimester (and beyond) – the serene grounds had such a healing effect. 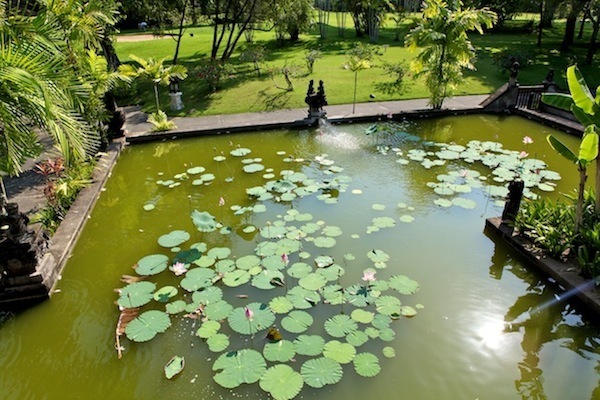 The kids and I would go down the pond and watch the amazing water monitors (huge lizards) looking like crocodiles in the water. Wonderful, slow tasks like this could easily use up an hour and we’d talk about all kinds of things and reconnect with each other. Since returning, I have raved about Club Med to friends and family – the all-inclusive aspect is incredibly attractive and the holiday costs no more than if you paid for everything separately. There are no expensive surprises, no unpredictability. I bet that image above got your attention – that’s the amazing Quiet Pool where parents go to relax and unwind while the kids are doing amazing things at Kids Club, or when baby is with the nanny. It’s adults only and tailored for ultimate relaxation. Next door is one of the prettiest resort spas I’ve had the pleasure of visiting. I had a dreamy pedicure, gently and painstakingly performed by a skilled beauty therapist. Prices were equivalent to Australian spas but for me, entirely worth it just to walk down the corridor and be enveloped by peace. 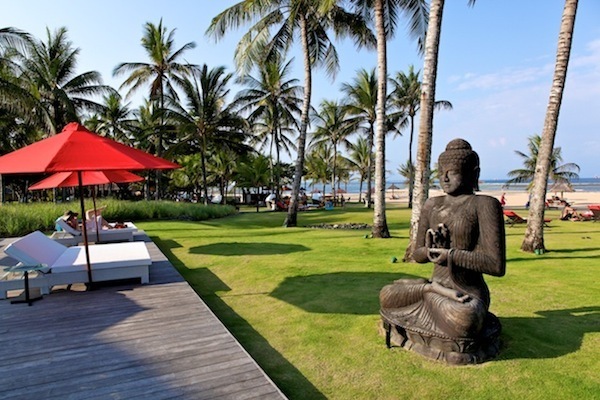 We’ve all heard the stories about Bali Belly and how ill travellers can get, but not at Club Med Bali. You might think I was hampered not being able to eat the lovely prepared salads and cold seafood dishes in pregnancy, but no, the array of freshly cooked buffet food was quite astonishing and I frequented the Indonesian section with utter delight. Club Med’s food preparation standards are second to none – the best chefs, using the freshest ingredients and artistic presentation methods make dining there a pleasure for both kids and adults. 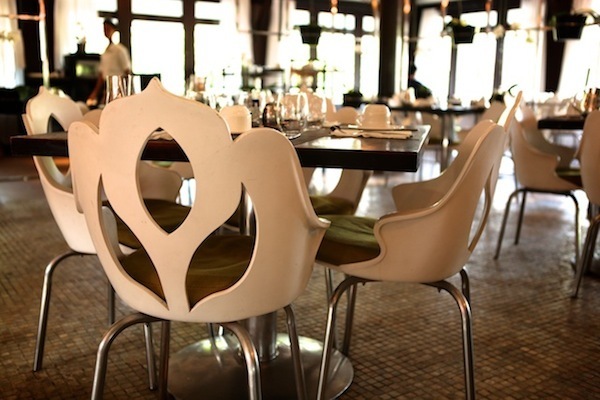 Below is our favourite dining room; one of three which branch off the buffet area. There’s also an a la carte restaurant, at which we had a wonderful three-course meal with the children, all included in our package. 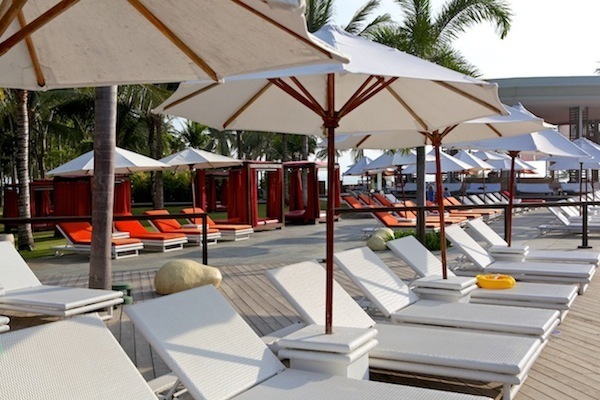 The nightlife at Club Med Bali is incredibly vibrant – there are nightly stage shows which include performances with your children (practised at Kids Club that day) as well as the huge and very talented staff cohort. We saw traditional Balinese performers (below) and some amazingly good dancing in the shows which included Peter Pan and a Michael Jackson extravaganza. 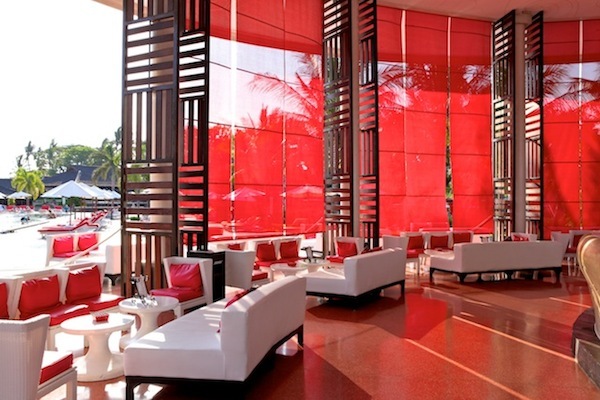 We couldn’t fail to get caught up in the jovial atmosphere of Club Med – it’s infectious! 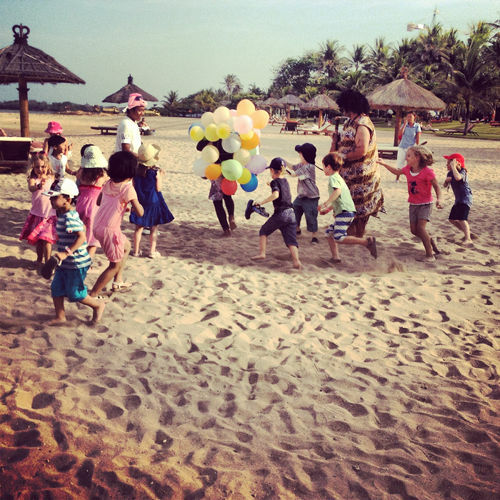 The attention given to children at Club Med Bali is amazing. While you can happily go to Club Med as a couple and not be bombarded by children and their activities, so too can families go and their every need and whim be catered for. I give full credit to the energetic staff for creating an atmosphere of inclusivity whatever your age or activity inclination. 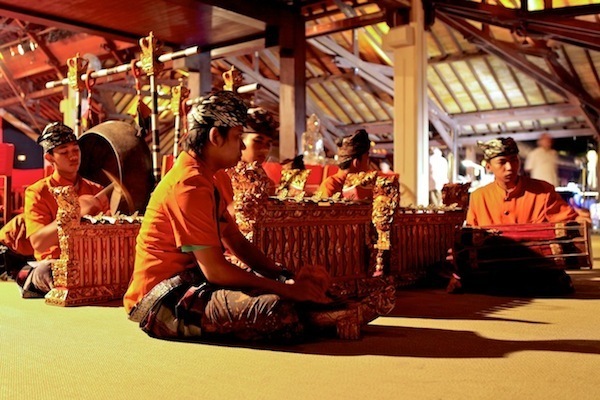 My boys took part in a vast array of activities at Club Med Bali, including Balinese craft and outrageously fun events devised by the trained staff. Below they all have a toothpick and are running after Mr Balloon Man to try to pop all his balloons – even I kept up with that one! When you watch your only-just five year old mastering an upside-down trapeze manoeuvre at the height of a tall tree, you just know he’s achieved something unforgettable in his life. I never would have thought my youngest would be up for this, but just look at him! 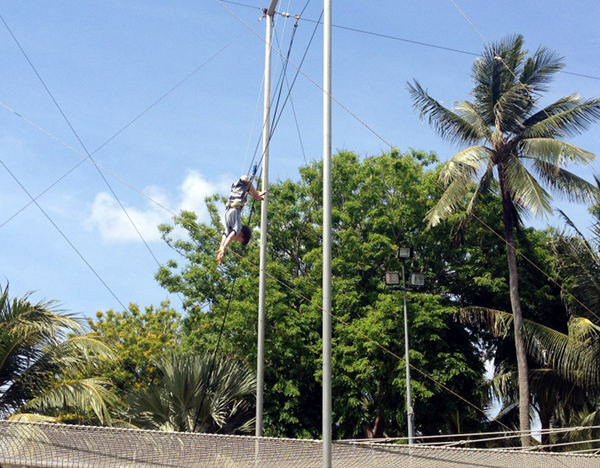 Club Med actually has a team of circus trainers and most ages can try. Ok, so I was a bit miffed to be pregnant at this point – I would have tried it too. Mini Club Med-ers (ages four to ten) come to the purpose-built kid’s facility complete with a shallow pool, play areas and a huge playground. My boys begged to go every day. 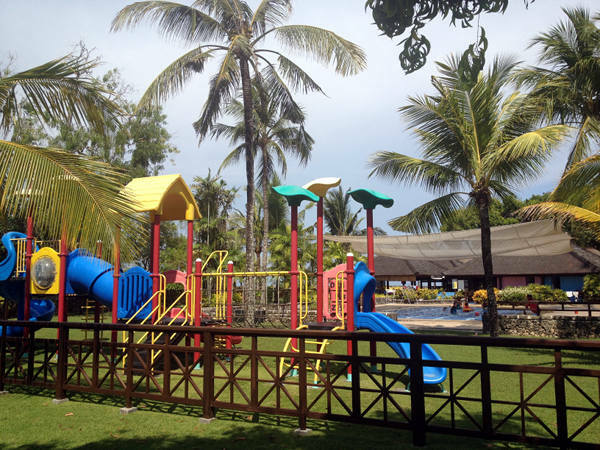 Below are the Petit Club Med facilities for kids aged two to under four. 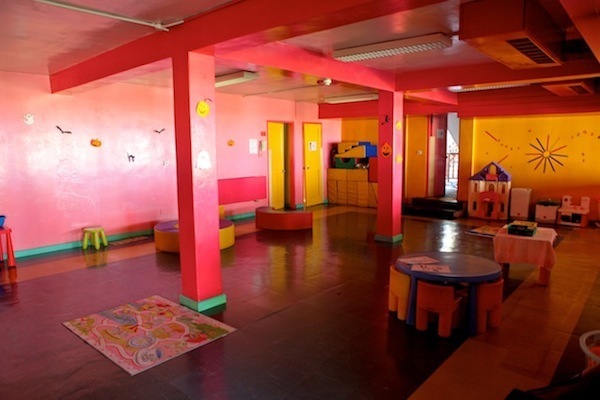 Facilities are appealing, clean and bright and the staff all have Early Childhood qualifications. The head co-ordinator of Kids Club (the very wonderful Allyn) had just completed his PhD! 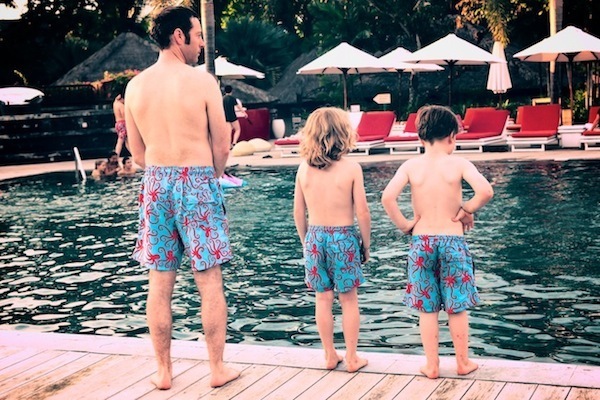 We loved everything about Club Med – the sophisticated concept of an all-inclusive holiday in luxury surrounds worked for us, and best of all… the brother bonding time! 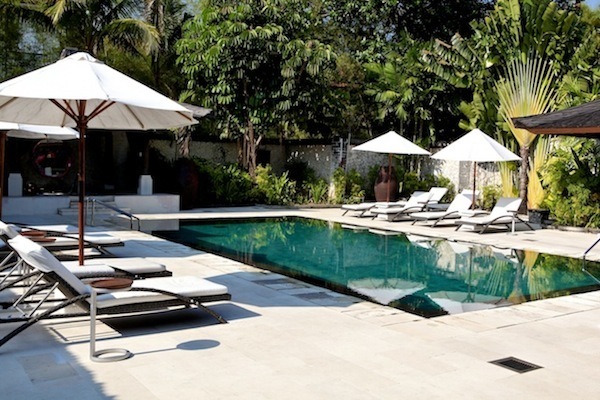 Thanks to Club Med Bali for having us as guests – we will be sure to return, next time with a third little boy in tow. If you would like to price and book a holiday with Club Med visit their website directly or contact Goldman Holidays.